I really don’t know how to put this in words. But I’ll try. First of all let me give you some background. I run a small design company (Klutz Design) focusing on music oriented furniture designs. We’ve launched both a prototype of a listening chair, the Ballerina Sweetspot (soon to go into production) as well as a headphone stand, the CanCans (which is in production). And more to come. These products basically stem from our passion for music, and the appreciation which this gives us. Our pay-off is “Beauty. Fully. Listening” – basically summarizing our “insightful design for the passionate” philosophy through which we design beautiful products that add not only functional benefits to enhance our enjoyment of music, but that are also beautiful creations in their own right and lift our anticipations of our musical experiences. Designs that are beautiful, and that allow one to fully enjoy one's listening. I finally ordered and just received a complete set of LessLoss cables (several DFPC Signatures, Anchorwave RCA and speaker cables). I have only implemented two DFPC Signatures (Voltikus PSU for the Zodiac Gold DAC and the Reference PSU for the Bakoon AMP-11R) as well as the Anchorwave RCAs. I didn’t do anything “successively” – couldn’t resist just plugging all 3 of them in immediately. My temporarily employed entry-level bookshelf speakers from Amphion (only there because I sold my previous setup in anticipation of the Trenner & Friedl Pharaoh speakers), aren’t stable enough for the placement & weight of the Anchorwave speakercables, so I haven’t put in these yet. On paper, the speakers shouldn’t really be that “fine”/sensitive to convey any changes (they’re just EUR 800 speakers from my desktop system). Also, an important point of “clarification” is that I have never found myself susceptible to any type of “placebo” effect when it comes to hifi. I’ve listened to a lot of both expensive systems and cables and not necessarily been impressed. Neither do I consider myself a “technical” listener. Just “looking” for real music. And real music is what I’ve found. The only way to describe what I hear with these first cables in the system, is an unbelievable presence – a combination of a “pitch black” background and clarity, more powerful yet oh so natural. I honestly didn’t know that these entry-level speakers could make this kind of music. I want to tell myself that I am just “hearing things”, that, as everyone one else, I’ve suddenly succumbed to a placebo effect. Because it simply can’t be possible that three cables, albeit great ones, can make such a difference. Right from the start. But they do. Absolutely stunning. I simply can’t wait until I get the T&F Pharaoh speakers and I get to implement the final Anchorwave speaker cables all the way through with an upgraded front end. This is the 2nd product I have from LessLoss... the beautiful BLACKBODY. I have been using 4 DFPC power cords for the past 3 months and can tell you: my system has improved a lot. So, I decided it's time for me to get the BLACKBODY. 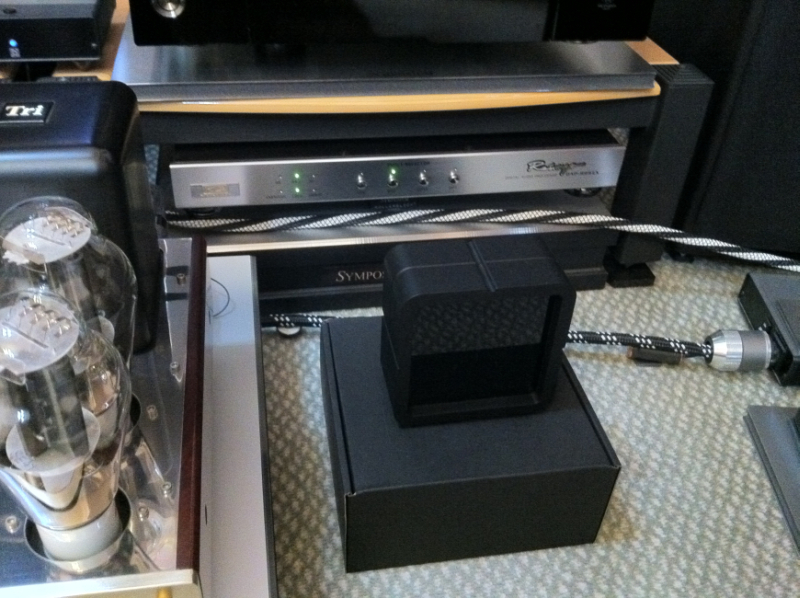 I bought & received 1 unit of the BB about 3 weeks ago ---- I was so excited to hear what this black beauty can do. So, I placed it facing North by my transport. To my surprise, my system still improved (just when I thought that the 4 DFPCs were good enough). With only 1 BB in place, I could hear more details, better sound staging & more natural sound with a very dark background. After 2 nights of seriously listening (together with a few of my hi-fi members) WITH & WITHOUT the BB, we confirmed that this baby is A MUST HAVE for every audiophile system. The good thing is that the BB can be detected at once. Now, with all the 6 BB units in place, I can hear VERY CLEAN and FULL-BODY sound as the whole room is filled with music, the SLIGHTEST DETAIL, even DARKER BACKGROUND and the expression of the singer (the feeling - singing out from his/her mouth) & the musicians playing their instruments -- so damn real -- just too good to be true. Trust your own ears. Get 1 Blackbody unit and try & you will be wanting more. Today I managed to get one more Blackbody faced down on top of my iso/power transformer. The sound still improved. Now I'm using a total of 7 units. Am very happy with the improvement of sound. But after getting new speakers a couple of years ago (Ascendo C8 Renaissance) it started to dawn on me that there is probably more to be revealed in the music than I was getting. Since then I’ve been testing many cables, different configurations, different materials – some even so expensive that I wouldn’t/couldn’t have bought them. But I had to know what was possible. Just as a note: no silver cable I’ve tried has floated my boat in the timber department and no thin cable/wire has given the dynamics that music played through full range speakers need. Shielding again seems to kill some of the liveliness and soundstage. Well as every reader of the LessLoss website knows, LessLoss fulfills these requirements in spades. But still - after listening to so many different cables without hearing anything substantially better than my own, I still wasn’t quite sure I’d want to take the pain to try one more cable make. But finally with a little leap of faith I took the plunge and ordered – and haven’t looked back since. The interconnects and speaker cables have very much the same type sonic signature. If you’ve heard the interconnects you’ve heard what the speaker cable can do - you’ll just get more of the same. The speaker cable’s super qualities just let you hear what exactly the IC’s are capable of. So what are the qualities? 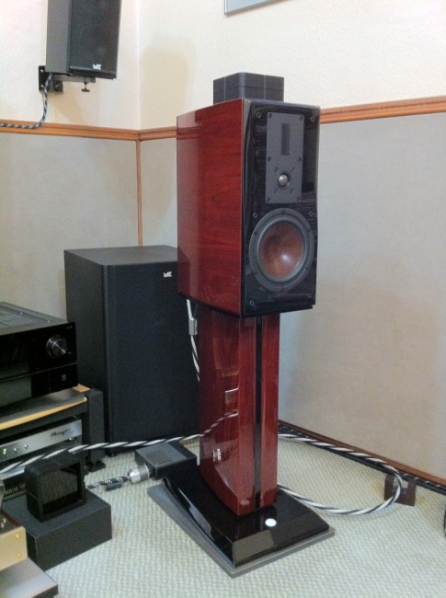 Open, detailed, dynamic, correct timber, big soundstage, spot on frequency balance, presence - everything really. My older cables were quite good at these qualities also but the Anchorwaves are just in a league of their own. No question about that. No point in going into detail though about the sound and instrument timbers here, as it’s all there. One aspect though that clearly differs from all other cables is the natural beauty and purity of the music. In all other cables there seems to be, more or less, a certain shouting/ringing affect present in the music, especially in speaker cables. It’s kind of an aura surrounding the music and soundstage, you can never quite shake it off. It cuts away from the easy naturalness and contributes to the listening fatigue. The louder you listen the quicker it starts to get to you. The LessLoss Anchorwave IC’s and speaker cable have none of this – or at least in diminishing amounts. The presentation is just so musical, natural, dynamic, detailed and full bodied with no stringent sounds, no hi-fi treble, no smudginess. What else could one want? Looking at the competition and the materials used, they are even very reasonably priced. So I’m settled. No more desire of cable search for me. Maybe these aren’t the best cables in the world, but they are the best I’ve heard and I find it hard to imagine anything being seriously better. Well, of course there probably is something a little better out there, even LessLoss has the Tunnelbridge interconnects... But these cables are so good that one has to raise the question of whether you need better ones any more? ...and just as a reference: I do get to listen to live music almost daily. So even with my VAC amps and Ascendo speakers, I’m quite sure that the Anchorwave cables are not the limiting factor to my musical nirvana if I still want to upgrade some day. Not a bad place to be. =) I’m happy. I am a proud user of the DFPC Signature. Having four of them has transformed my system to a new level with darker background, better separation, the clarity of the instruments and bass is so good. Now I can sit back and enjoy the music. What can these small little black boxes do to improve my system? After receiving these Blackbodies from my friend, I simply put them facing north, 35cm away from my Soul Note CDP as instructed. Playing a CD that I had played numerous times whenever trying out any new equipment or accessories. Immediately, I could hear a darker background, the vocal became more focussed and the harsh and edging sound of the violin that usually appears on this CD had somehow gone. Now, what I am listening to now is the true violin sound. In the next three hours I repeatedly played a few familiar tracks with and without the Blackbody, now I am sure I can't live without these small black boxes whenever listening to music. And I keep wondering what is inside this blackbody? But who cares?! As long as it can bring back the life of the music, take me closer to the singer, then it's worth every single cent. The only question is: "How Many More Blackbodies do I need?" But I am sure that adding one or more Blackbodies will definitely bring my system to a new level. Bravo LessLoss!!!! The most effective audio accessory of the Year 2011. 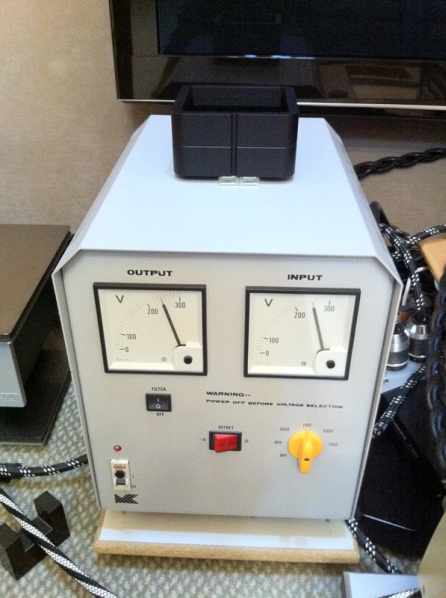 A must for every audiophile looking for real sound. Before I start writing my review I would like to thanks 2 people who turn the impossible into possible. (Now I have turned my music room into a concert hall.) Firstly, to Louis Motek who designs such powerful cables and Blackbodies. 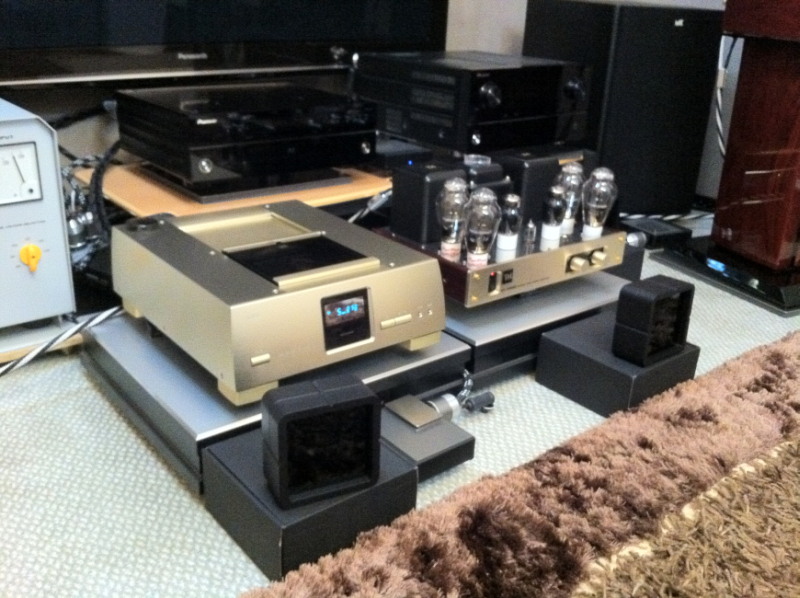 Secondly, to my hifi master Mr. Erick Ong who conviced me to try and experience these LessLoss products. Although I had enjoyed my system for the past wonderful 15 years, but having 2 LessLoss DFPC Signature cables and 1 Blackbody I'm sure the real music journey is just beginning to take off. The Blackbody contributes the most! Wow... wow... wow... is it true? You can really see the movement of the singer, their expression, even the background musicians. It is so real that you feel like sitting in a musical hall enjoying your favorite singer perform live music for you. If I were to describe it in detail I may take a few days to do so. Hats off to you, Louis Motek! Your products are making all those well known companies go to shame. I will be getting more Blackbodies from you and at the same time will introduce them to all real audiophiles that are looking for real music, not loss music. Wanna tell you that your power cords are brilliant. I am listening to a dedicated headphone system. Zodiac Gold DAC and headphone amp, Audeze LCD-2 headphones, connected to my computer. The first cord I used for the Zodiac. A very substantial improvement over all the cords I have tried so far (NBS, Van den Hul). The DFPC Original cord I received today (after 4 weeks witht the first one) I connected to my computer. ...Wow, even without any burn in a very substantial improvement again. Cannot stop listening, my feet are tapping all the time. Very, very involving. Now, my digital rig sounds as least as good as my very expensive turntable. Before putting your cords in my system, my turntable sounded much better than my digital gear... not anymore. I could not be happier with the results!! Talking about value.... I have been around in this audio/music hobby for at least 40 years now. I think in all these years I have spend at least 35000 Euro in buying all kinds of audio gear. Without going overboard, I can easily say that the two power cords I bought from you for less than 1000 Euro have been my best money ever spent in this crazy hobby. Why? 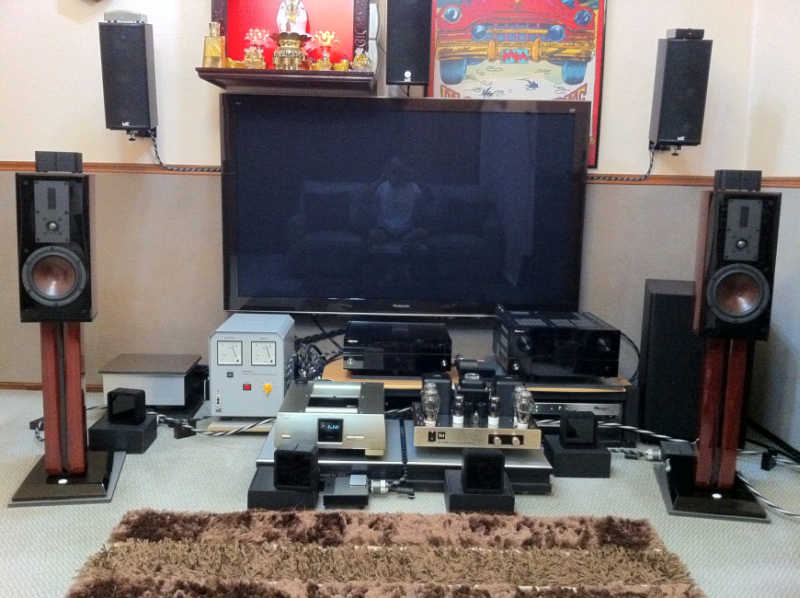 Because of your cables, my system took a giant step towards the ultimate goal for me......the illusion of hearing real musicians making real music in my listening room. 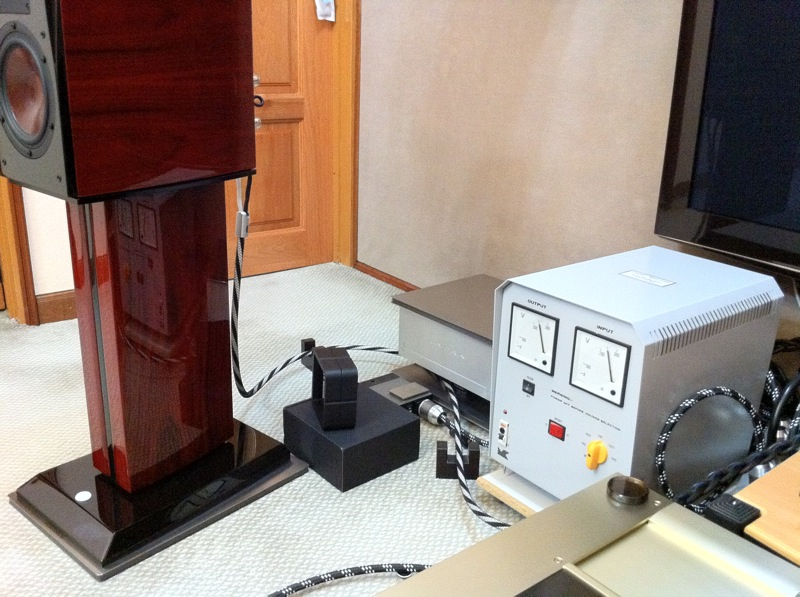 Just want to tell you, after about a half month's audition, I have got all the same merits and feelings from the DFPC Signatures as all other owners from the world's audiophiles. Best Regards & Thank You! I've noted the Firewall with 4 stars, since a new good product can always take its place. Louis Motek's splendid Firewall did something very important in my system. The sound transformed from an artificial and rigid timbre into a more relaxed solid, organic one. More controlled lows, natural mids, and silky highs. That sometimes metallic spectrum is gone. And when you see the Panzerholz shield of the Firewall, you feel very proud of this product. Note: it works splendid with the DFPC Signature cables. Thanks, Mr. Motek.